Tempest's 40K Bunker: The Beginnings of my Waaagh! 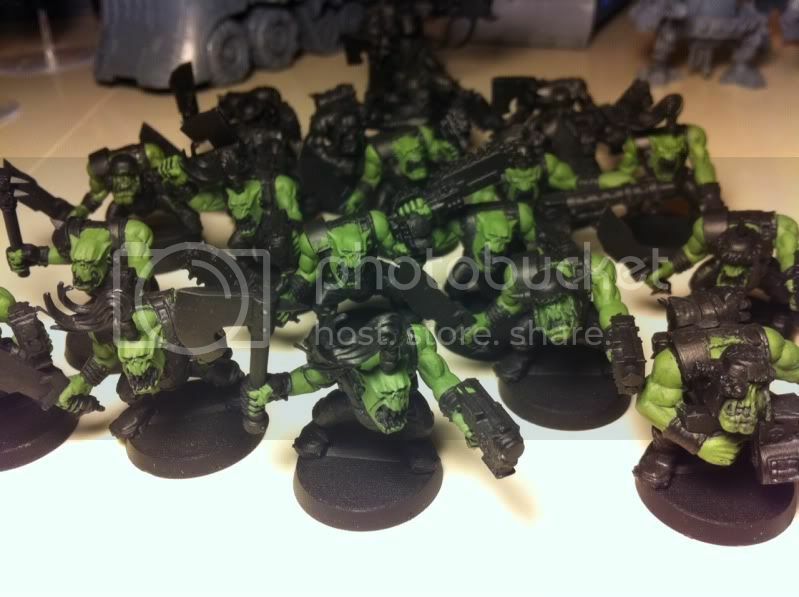 Over the last year or so I've traded and bought a huge stack of Assault on Black Reach Ork minis with the intention of launching a Waaagh with which to a) amuse myself with, as Orks can be crazy and random, b)paint something different to power armour (but still green hey!) 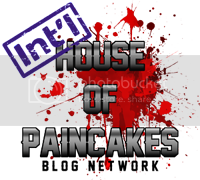 and c)inject a new faction into my current gaming group. 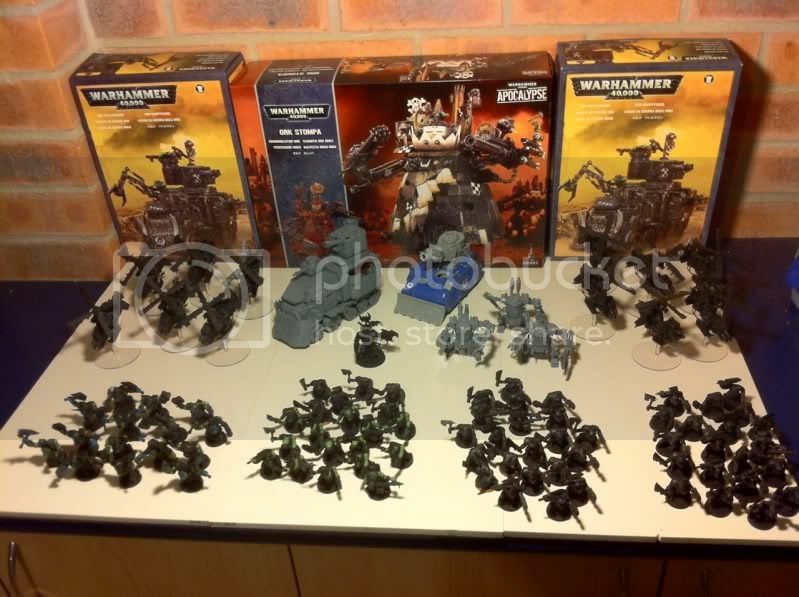 Getting back to 'da ladz',for a really small outlay I had myself a decent foot army and some Deffkoptas as well. 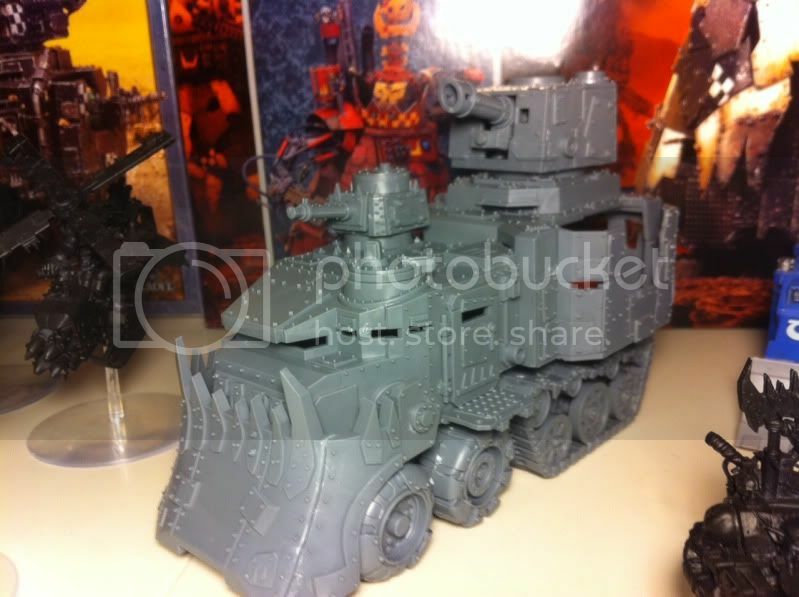 However, the bug has bitten hard- Gork AND Mork spoke to me and demanded more units! So the lads have now been backed up by 3 Killa Kanz, 2 Looted Wagons, 2 Battlewagons and a Stompa super heavy walker! As a pure wysiwyg army it'll start around 3000 pts but could easily top 4500 without overloading on wargear and losing unit cost effectiveness. Big thanks to James, Ash and Alan for the AoBR kits, and Chris (chopshopbitz on eBay) for the Battlewagons and Stompa. Now to find the time to paint all 123 models (101 of those are footsoldiers!). 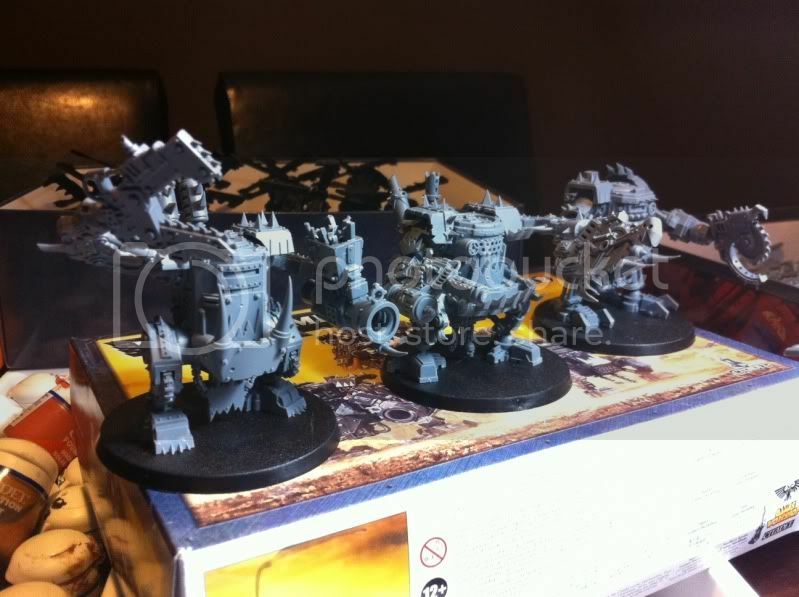 Oh, and I finally decided that my Orks will be the thieving looting opportunistic types, and are being painted up as Deathskulls. 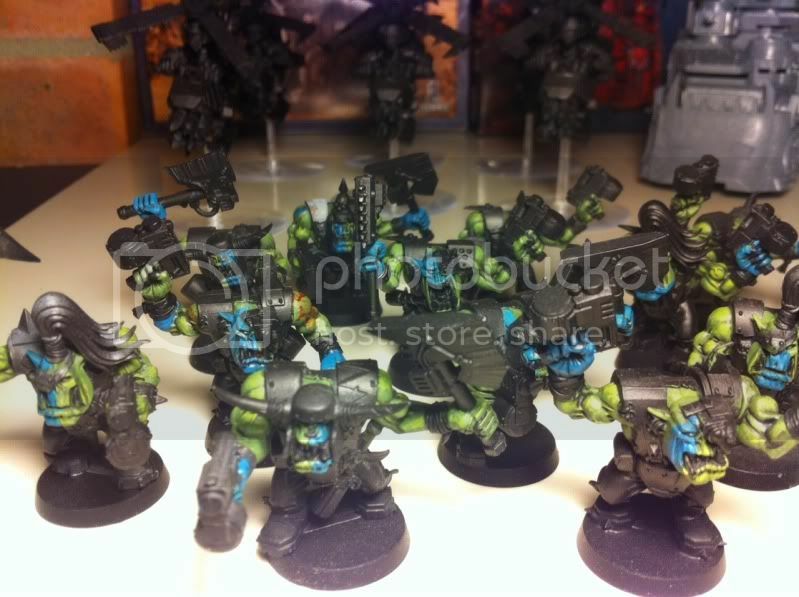 Every other Ork army I come across seems to be Goffs or Bad Moonz, and i have a vibrant 'blue' tone that really pops out against green skin. 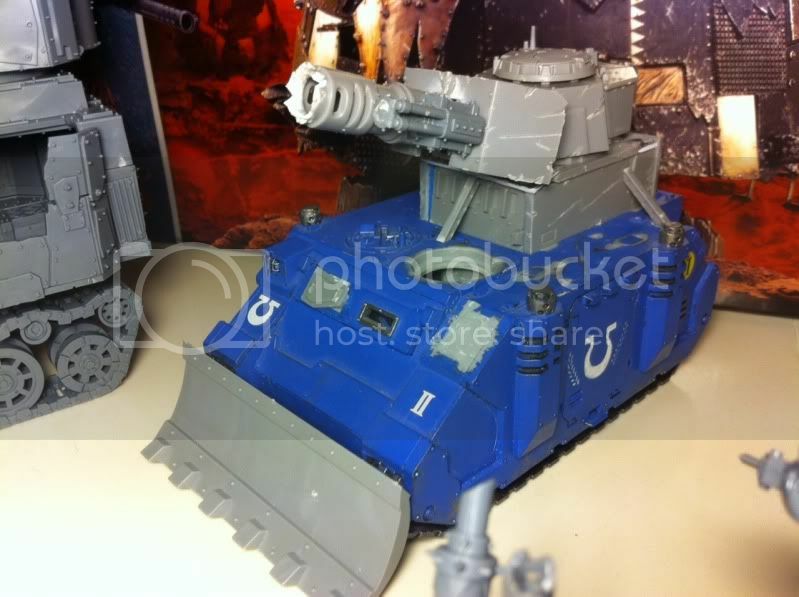 One of the Battlewagons (rear canopy and all turrets are removable). Will be getting a Dethrolla for the front really soon.